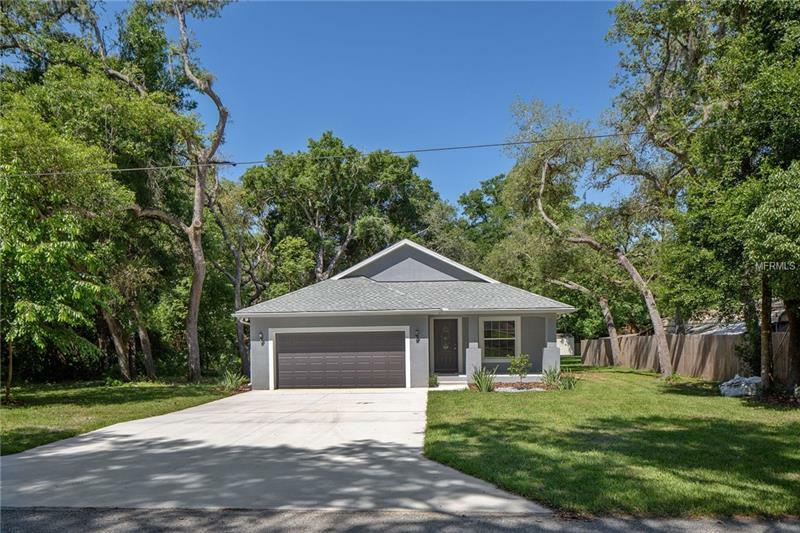 Brand New Home Built in 2018 Located in Ridge Manor Florida an upcoming fast developing area as you notice getting off exit 301 all the new construction from restaurants, hotels and over pass this community is on the riseâ¦ While these qualities are a plus you also have the advantage of being nestled within some boundaries of the Withlacoochee state forest guaranteeing overcrowding will not be an option. Yet centrally located you are within an hour of sandy beaches, Orlando , Ocala and Tampa . As you walk in your front door a calming color palate greets you with modern upscale decor. Your single hung insulated windows are all covered with 2" faux wood blinds awaiting you personal touch for window treatments. The waterproof flooring is the latest creation by Shaw industries. The enhanced waterproof vinyl is more durable than traditional hardwood but captures the natural wood beauty. The vaulted ceiling give a spacious feel. The kitchen is equipped with a stove, refrigeration, dishwasher and microwave. The stylish cabinets have soft closed drawers, plenty of storage and lazy Susan for easy access.The cabinets are complimented with pure quartz counter tops with a breakfast bar. All lighting inside and out is LED keeping the electric cost to a minimum. Each bedroom is equipped with ceiling fans, lighted closets and a wall switch for a bedside lamp. The master bedroom has a tray ceiling, a walk in closet and an elegant master bath.